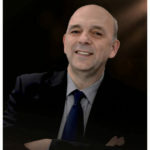 Expert of the packaging, Jean-Louis Mathiez has held differents positions in international groups Revlon in the early 1980s, as head of the laboratory of packaging, Bourjois and Chanel validation for 7 years within the Division of quality and study of packaging, then he joined l ‘ Oréal in 1997 where he supports the operational development of the packaging of makeup for brands Maybelline and L’Oreal Paris. The adventure continues at Coty, where the place of strategic innovation will be predominant. Taken by his creative passion, he chose to enter the industrial adventure and created the Cinqpats company. Today Cinqpats also works well for the segments of the ultra-luxury for the dissemination of mass. Cinqpats is a company that creates innovating packaging for cosmetic products. We manage all aspects of project feasibility “from tooling to market”. We develop projects with partners, suppliers, and brands of cosmetics. 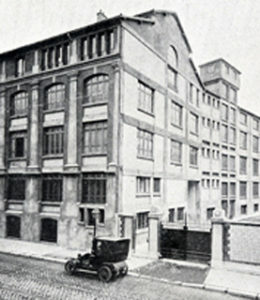 Our offices are located on the historic site of the factory of the French perfumer, Dorin , pioneer of the cosmetic industry founded in 1780, and official supplier to the Royal Court.